As it currently stands, cannabis is legal or decriminalized in more than half of the states in the U.S., according to the interactive map on DISA. However, the substance remains illegal on a federal level and is still deemed a Schedule I drug, as listed on the U.S. Drug Enforcement Administration (DEA) website. Cannabis is a multi-billion dollar industry. By 2025, Statista predicts it will be worth $24.1 billion in the United States alone – $13.2 billion of which, will stem from medical use. Since its legalization in the state of Colorado roughly five years ago, it has brought in an additional $905,508,416 in tax revenue, the Colorado Department of Revenue reports. Although the cannabis industry is lucrative and well received, with 62% of Americans supporting it’s legalization according to the Pew Research Center, CBS still refused to air Acreage Holdings’ advertisement during the upcoming Super Bowl on Feb. 3. Allen further explained that media companies are reluctant to air cannabis advertisements so long as it remains illegal on a federal level. Acreage Holdings was willing to spend in the upwards of $5 million to secure a spot for their ad during the Super Bowl. However, CBS declined the advertisement on the grounds that it was not consistent with the network’s policies. CBS has not publicly commented on why it declined the advertisement, however CNN reports that a source close to CBS confirmed that they do not accept any advertisements related to cannabis. While it’s understandable why CBS would avoid airing advertisements related to a substance that remains federally illegal, this decision is costing them a whole lot more than the $5 million Acreage Holdings was willing to pay for their spot. Cannabis is an eye catcher. Whether you love it or hate it, you are undoubtedly curious about it. I mean, why would you click on this article if you weren’t? Especially with CBD on the rise, legally finding its way in just about everything from lotion to food, cannabis is becoming more of a “buzzword” now more than ever. Although the Super Bowl consistently brings in about 100 million viewers according to Statista, airing Acreage Holdings ad would have attracted even more attention to this year’s Super Bowl. Yes, it is inevitable there would have been viewers who disagreed with them airing the advertisement, but they would have gotten a lot of support, as well. Not to mention, CBS would have broken records as the first television network to broadcast cannabis advertisements. 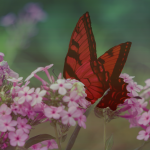 In 2017, Palmetto Harmony was the first company to have advertisements for their CBD oil products approved across several national networks, including CBS. However, Acreage Holdings would have been the first cannabis company to have nationwide advertising on television. 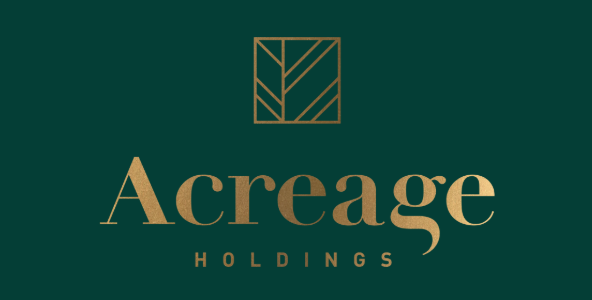 Founded in 2014, Acreage Holdings is a United States based company that prides itself as the most diverse producer and distributor of cannabis in the country. The company said that it will release the advertisement on their website soon so that others may gage what all the fuss was about. According to CNN, the advertisement did not necessarily center around the Acreage products. “We want to get an audience befitting the message,” Allen said, which is very much in line with the mission statement on their site. This entry was posted in Blog, Cannabis, Blog, Finance, Hot Stuff, 2019, Winter 2019, January 2019, Blog, Politics and tagged in acreage, acreage holdings, blog, burgundy bug, cannabis, cannabis industry, cbs, cbs news, CBS Refuses to Air Cannabis Advertisement During the Super Bowl, cnn, colorado, current events, finance, ganja, grass, hot stuff, legal cannabis, legal weed, legalize it, marijuana, medical cannabis, medical marijuana, news, newsworthy, politics, recreational cannabis, recreational marijuana, reefer, smoke, smoke weed everyday, smoking, statista, super bowl, super bowl 2019, weed.